About once every two years, viewers around the world tune in to watch the Olympics. These games are rooted in a 3000 year old tradition that started in Greece’s “Valley of Gods”. 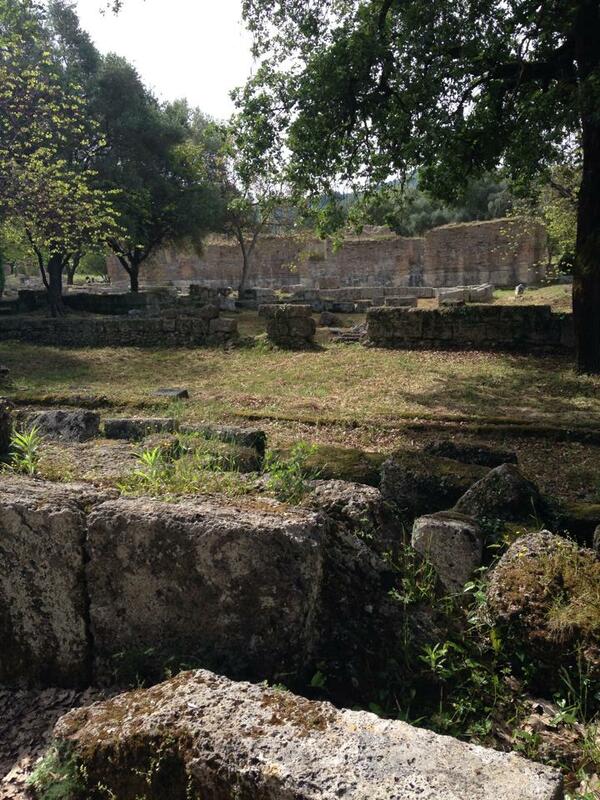 Olympia was one of the major sites in Greece that helped shape the nations identity due to the Olympic Games. While the modern games are much different from the original ones, the spirit of athletes competing for honor and glory remains the same. The Ancient Olympic Games were much different than their modern counterparts. For one, they began with just a single event, a footrace, before later expanding to other sports like chariot racing, boxing, wrestling, javelin, long jumps, and more! The athletes, except for chariot racers, would compete naked. Winners would receive a crown made from the cut branch from the sacred olive tree grove near the site. Only men were allowed to watch the games, with female goddesses and certain priestesses being the only exceptions. Spectators would come from all over the Mediterranean, bringing offerings to the Gods. They brought statues, money, bronze tripods, shields, helmets, weapons, and more to give to the Gods. The Games took place at the full moon after the summer solstice, when a huge sacrifice to Zeus was made. The sacrifice was usually around 100 cows. The result was basically a huge BBQ that attendees would go crazy for, as meat was basically a delicacy because of the cost. The Games served as a time for uniting the people through worship, fellowship, and, of course, watching the athletes compete. An “Olympic Truce” was put in to place in the weeks leading up to the games. This allowed anyone traveling to the games safe passage through the country, even if there was active combat. This did not mean the fighting stopped, though; in fact, many wars between states continued during the games with one even taking place in Olympia! The site of Olympia is home to a number of temples, workshops, athletic facilities, administrative buildings, and baths. The most famous temple is probably the Temple of Zeus at Olympia, which was home to the Statue of Zeus at Olympia, one of the 7 Wonders of the Ancient World. Of course, this statue has been lost to time and can’t be viewed today. Many of the temples statues still exist and are displayed in the Archaeological Museum of Olympia! Hera, Demeter, and Rhea also had temples in their honor at Olympia. 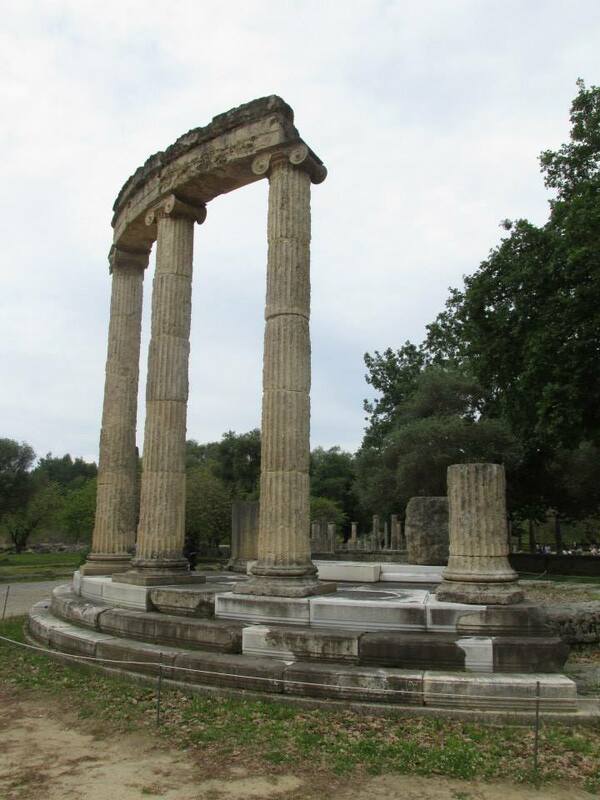 In fact, the Temple of Hera at Olympia is one of the oldest temples in all of Greece. A large wall separated the religious from the secular areas of the site. Olympia has many athletic facilities scattered around the site since it was home to the games. The ancient gymnasium, ancient stadium, and palaestra (practice facility) sit in ruins today. Like the modern games, a number of other facilities were necessary for the Olympics to be successful. Hotels, hostels, baths, theaters, and administrative buildings can be found around the site. The Olympics were a melting pot of cultures, which attracted artists, especially Pheidias. Pheidias built a workshop across from the Temple of Zeus, where he created the brilliant statue of the God that became a Wonder of the Ancient World. Ancient Olympia is huge! There’s the site itself and 3 museums. Like most Greek sites, the tickets give you access to everything related to the site – yay! During peak season (April-October), tickets are €12 with a reduced price of €6 or even free admission, so see if you qualify. November to March price is €6 for for everyone who can’t get in free. Tickets are only good for a single day, so make sure you schedule enough time to fit everything in. The Temple of Zeus’ West Pediment, which depicts a battle between the Lapiths and the Centaurs. Remember those 3 museums I mentioned? They’re fantastic. I was visiting Greece after taking an art history course and was basically starstruck at some of the pieces I saw in these museums. The first museum you should visit is the Archaeological Museum of Olympia, which has 3 (yes, 3!!) majorly awesome pieces of art: the East and West pediments of the Temple of Zeus and the Hermes of Praxiteles. I cannot stress this enough: it is worth making the trip to Olympia to just see these 3 things. The next museum is the Museum of the History of Olympic Games of Antiquity and the Museum of the History of Excavations at Olympia. They are smaller, but both incredibly interesting! Olympia sits about 4 hours from Athens, so it’s not going to be just a quick day trip – especially since the site takes hours to explore. You’re going to want to grab a hotel for the night. I recommend Hotel Ilis. It’s clean, the staff is friendly, the breakfast is good, and it’s a quick walk to the archaeological site and museum. 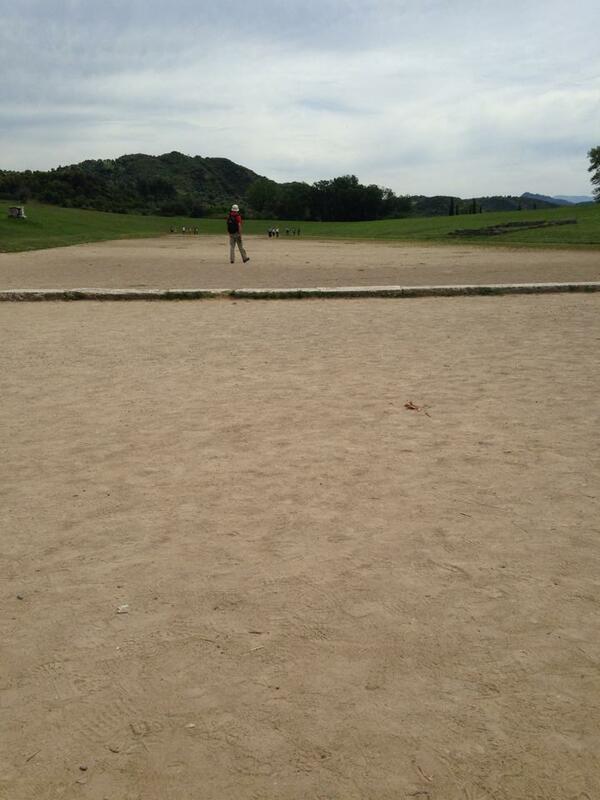 As an archaeologist and major sports fan, I cannot gush enough about how incredible visiting Ancient Olympia is. It is an experience that I will always treasure. I truly encourage you to visit Olympia if you’re ever able, as standing among all that history is a truly humbling feeling. PS: Like this post? Check out my other #SiteSunday posts on Delphi, Akrotiri, the Sagrada Familia, the Acropolis, and more! This is amazing! I am obsessed with Greek mythology and anything having to do with Greek culture. I’m adding this to my travel bucket list. Thanks so much for sharing it! Thank you for reading! Adding it to your bucketlist is definitely a must. I loved visiting this site so so much!